Medcor Canada is committed to working collectively with First Nation leaders and their economic development groups in building capacity, promoting meaningful employment and training opportunities. We are proud to be partners with and employ members from many different First Nation groups. Our goal is to respect the traditional territories of the areas we work in and form long lasting partnerships for the variety of resource activities going on inside First Nation’s traditional territories. 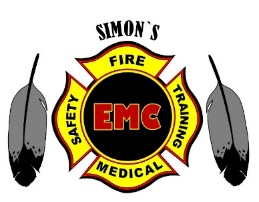 Simon’s Emergency Management Consulting Ltd.
North Point Medical Services Ltd.
For more information about our First Nations agreements or the First Nation Companies we are proud to support, please contact us.